Detox Tea is a delicious reset button for your body. It is designed with all the right ingredients for an incredible feeling of rejuvenation. 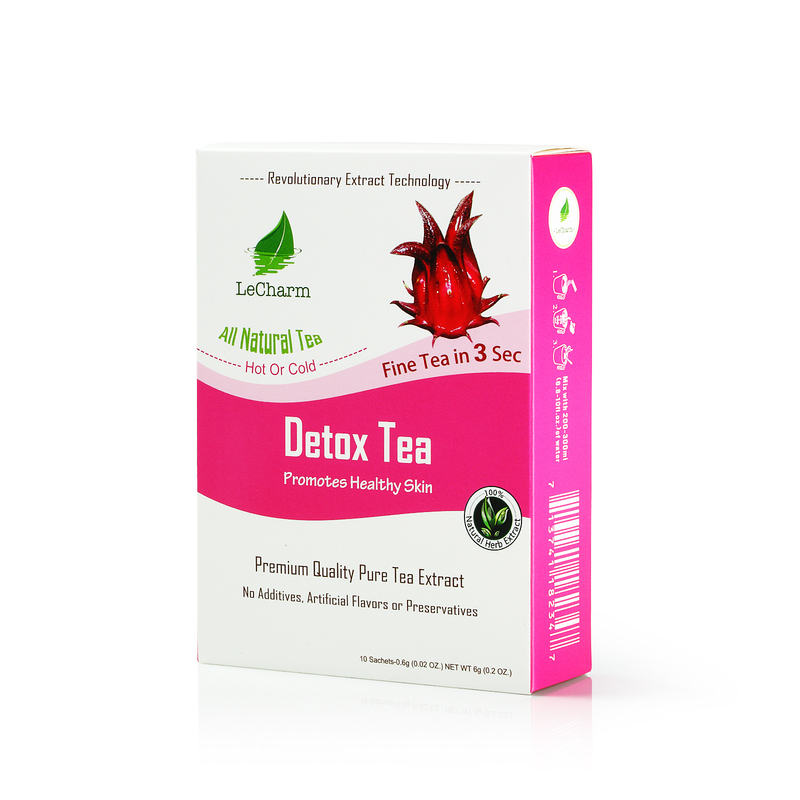 This tea is unmatched when it comes to purifying the body, and drinking it will make you feel like a brand-new person—free and clean inside. 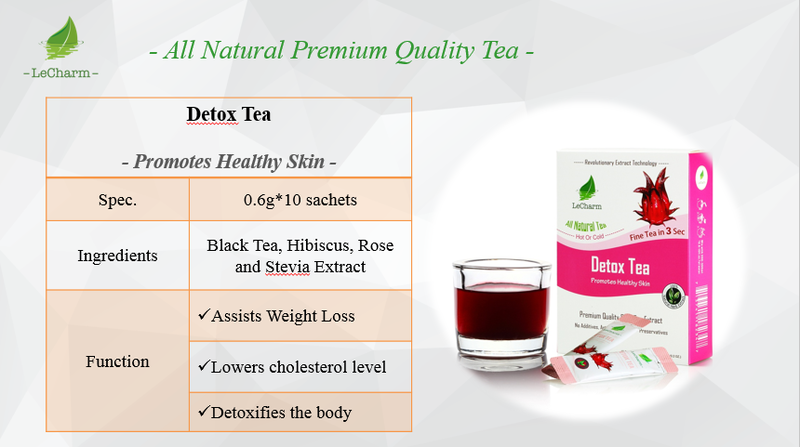 The hibiscus flowers and roses used to create this mixture give the tea a deep crimson hue. Sourness and acidity hit the tongue straight away, and the softening aftertaste of the natural stevia sweetener lingers afterward. 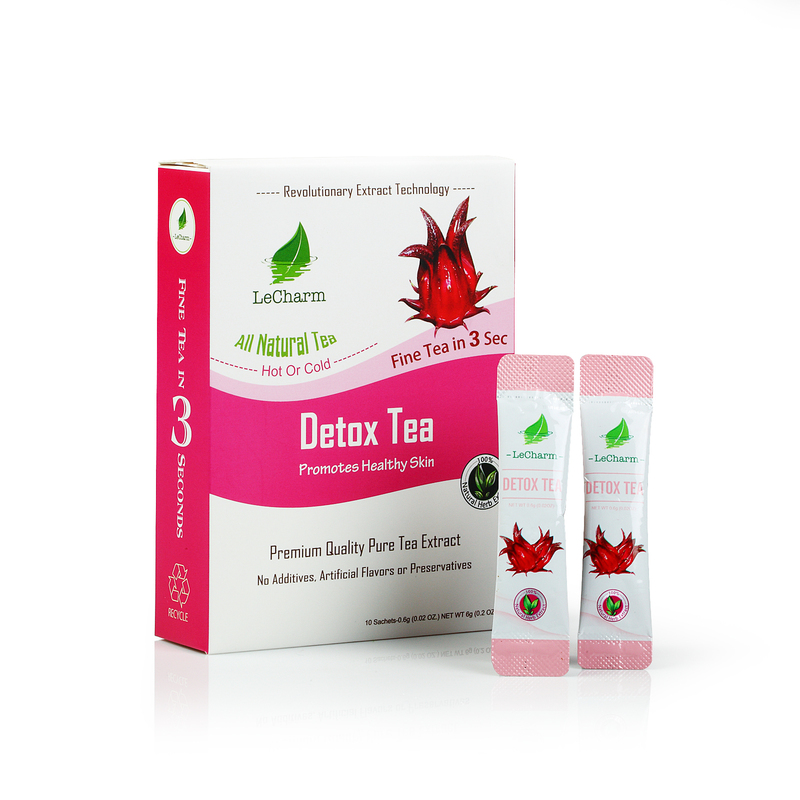 The contrast is exhilarating, and that same rush of taste will surge throughout your body as the detoxifying effect takes hold. I started to change my diet that eat healthy and I’m addicted to it. 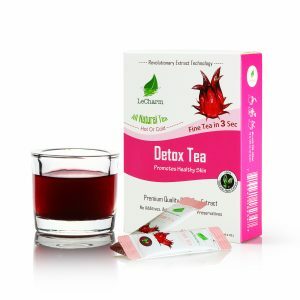 I can tell my body is detoxing so I lose weight pretty fast (it is not because of this tea, my whole lifestyle changed and I eat much less) I always have this tea during my bath time or bring it with my sauna, it was good it could be brewed with cold water. I don’t think it contain caffeine because I sleep well after having this.